It received its first release to home video in 2005, in Japan only. The rumors about this movie turned out to be true. 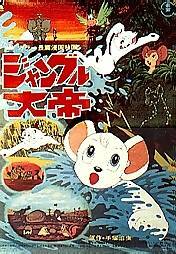 Contrary to claims on the Tezuka Company web site, well over 90% of this movie is taken directly from the TV series, sometimes connected with brief new scenes created for this movie. The majority of the movie comes from episodes #1 and #41 ("Go, White Lion" and "The Destroyers from the Desert") with scenes from episodes #2, #4, #48, and #20 ("The Wind in the Desert", "Great Caesar's Ghost", "The Red Menace", and "Restaurant Trouble"). I'm talking about the animation--the music was obviously re-recorded, and there had to be some new dialog to accommodate changes in the story, so I guess that's why they say it was a new production. The longest sequence that doesn't come from the TV show is the end credits sequence, which basically is just 2 or 3 minutes of the animals walking through the jungle. The other original scenes are very brief, and they just exist to connect the various elements that have been pieced together from the TV episodes; there's nothing new in the way of story in this movie. The first 24 minutes come from the first episode, "Go White Lion". This has been edited differently, so that _all_ of Caesar's scenes take place in the form of flashbacks. There's 4 minutes from "The Wind In The Desert": the scene where Kimba scares Tom and Tab away from Bucky. 8 minutes are taken from "Great Caesar's Ghost": the parts where Kimba stands up to Samson, thinks everyone is against him, and where Bucky, Dan'l and Pauley pretend to be Caesar. 1 minute from "The Red Menace": scenes of the fire. In one of the new sequences, the devastation caused by the fire gives Kimba the idea for clearing the land for a farm. 4 minutes of edited-together work scenes as the farm is started. This is overlaid with the work music from "Jungle Fun", and intercut with scenes of starting the restaurant. 3 more minutes from "Restaurant Trouble", as the animals start using the restaurant. This sequence ends with footage taken from "Great Caesar's Ghost", reworked a little so that Samson shows up to give his approval of the restaurant. 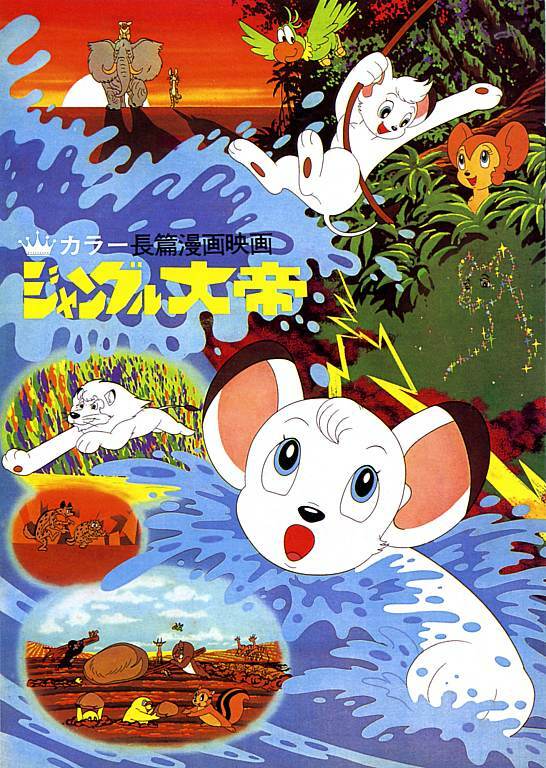 The rest of the movie comes from the "Destroyers from the Desert" episode, with Kimba's song to his father (from "Insect Invasion") inserted (his conflict now supposed to be how to handle the Destroyers instead of how to handle the grasshoppers), plus a 2-minute sequence of Kimba running while the end theme from the TV show plays. This is currently available on DVD from Japan. As expected, the DVD has no English subtitles, and no English soundtrack. Surprisingly, the source for the DVD was a faded print of the film; during most of it there are no greens in the picture at all (Pauley looks gray). Sharpness and contrast are good; it was easier to see dark scenes here than on the Japanese DVDs of the TV series. Basically, if you've seen the TV series, you've seen this movie--and the TV series is my preferred way to see these stories. Something on this page was changed on 19 July 2005.